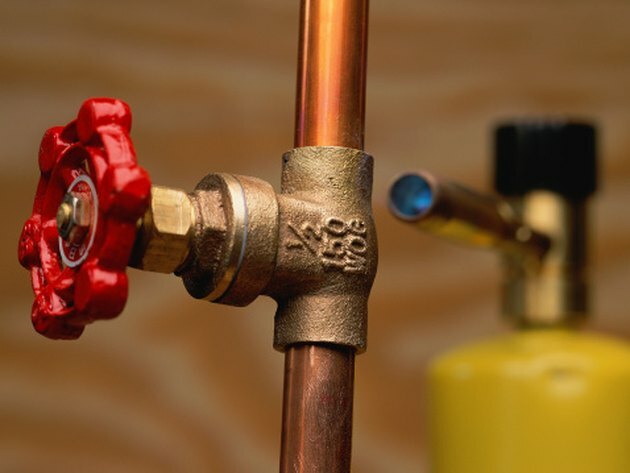 Most copper in the home is found in the installation of copper water supply pipes, usually either 1/2- or 3/4-inch in diameter. Before joining the pipe sections together, the pipes are cut to length. This is achieved through the use of a metal cutting blade on either a circular saw or angle grinder, a hacksaw or a tubing cutter. If working with thin copper sheets, they are best cut to size using metal cutting sheers. Copper pipe can be cut using a tubing cutter or hacksaw. Metal cutting blades come in sizes to fit either angle grinders or circular saws. Because the grinder blade is smaller on the angle grinder -- with a higher revolution speed than the circular saw -- it is easier to get into confined spaces to cut previously-installed copper pipes. As is the case with all copper pipe cutting, the water supply is turned off first before cutting commences. 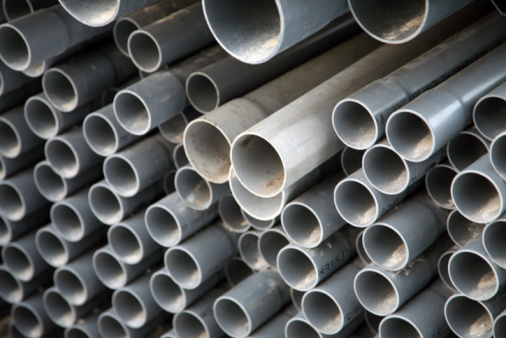 Also, if the pipes are to be reused, the angle of the cut must be straight and perpendicular (at 90 degrees) to the pipe. The hacksaw is a type of hand-driven saw with a very thin blade. 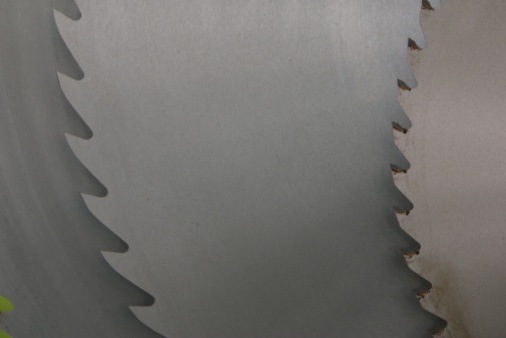 The saw blade's teeth are very small, so they easily cut into the copper pipe's surface. However, like using the circular saw/angle grinder, the cut's angle is important if the pipe will be reused. Due to the thinness of the blade, a straight cut is easily ensured only after much practice. When used properly, the tubing cutter ensures a clean straight cut through the copper pipe. The pipe is rested against the two small rollers on one side of the cutter's jaws. A small circular blade on the other side of the cutter's jaws tightens to the pipe's other side. After one 360-degree rotation around the pipe. the cutter's blade is re-tightened before another full rotation occurs. These steps are repeated until the pipe is cut through. These sheers look somewhat like household scissors in design, but the two cutting blades are more robust for heavier work. Once the copper sheet has been marked where it needs to be cut, the sheers' blades are positioned on each side of the sheet -- as would be regular scissors when cutting paper. The sheers' handles are brought together to cut through the sheet. Work gloves must be worn during the cutting process, as the cutting edge of the copper is very sharp. What to Cut a CPVC Pipe With?